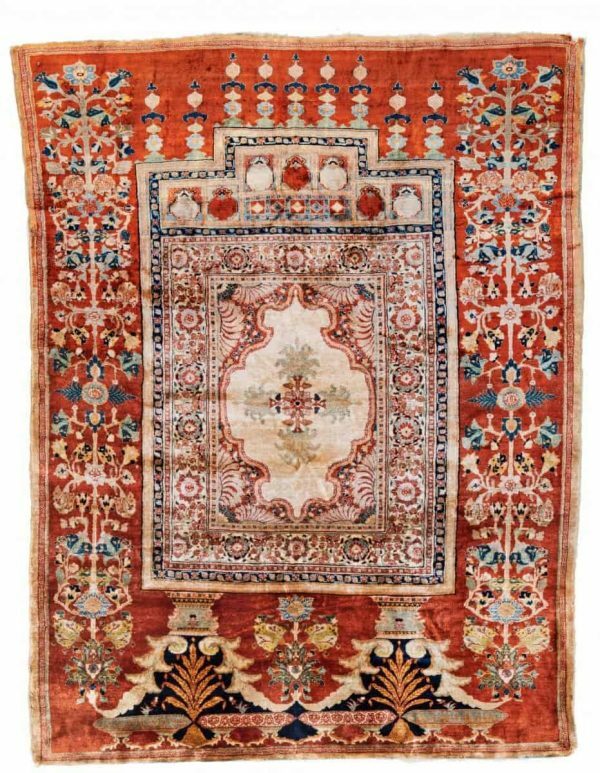 Austria Auction Company will hold their next carpet auction “Fine Antique Oriental Rugs IX” 27 January 2018 in Vienna. This antique oriental rugs auction includes some sixty rugs from the private collection of Azad and Eva Vartian. The collection includes mostly antique and semi-antique Persian rugs and a large selection of antique and semi-antique Persian, Anatolian and Khotan silk rugs. 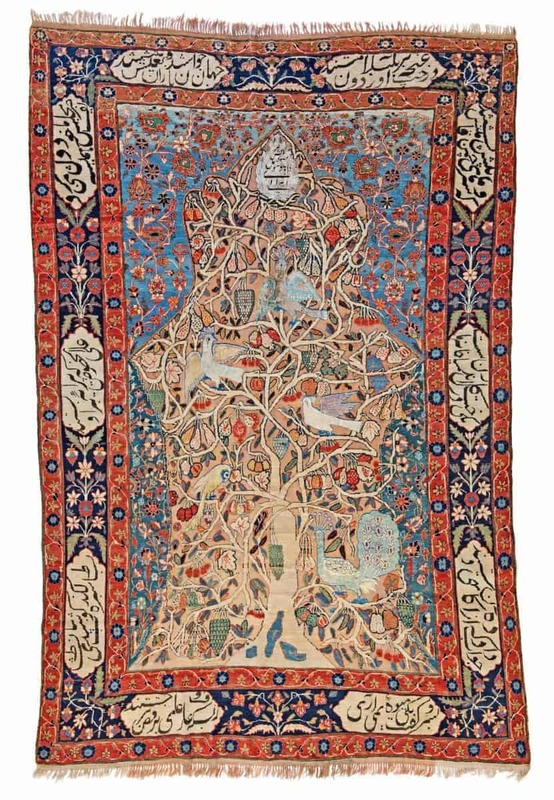 The highlight of the auction is lot 61, a signed Kashan Souf from a private Austrian collection. Their preview exhibition at Palais Breuner will be open for the public 25-27 January from 11.00 – 17.00. Persia, second half 19th century. 158 x 119 cm. Lot 31. Kashan, Persia, ca. 1920. 536 x 318 cm. 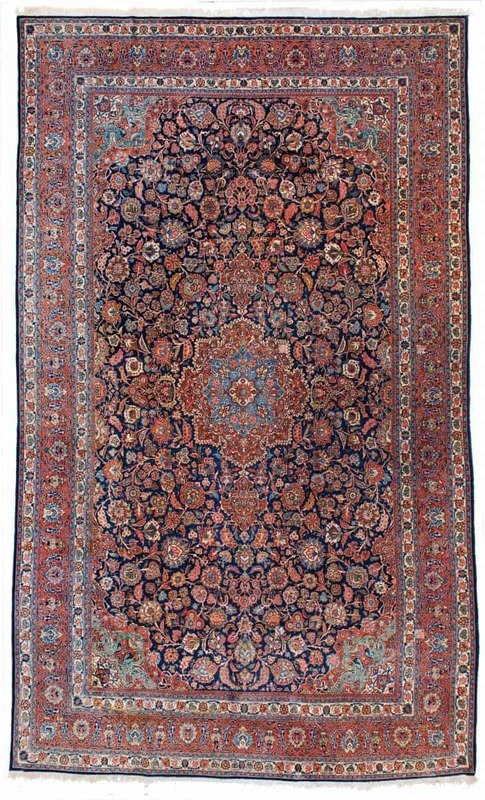 The online catalogue for “Fine Antique Oriental Rugs IX” has just been published by Austria Auction Company.